The Center for Digital Scholarship and Curation at Washington State University offers the Tribal Digital Stewardship Cohort Program, a hybrid, cohort-based educational program providing training in the lifecycle of digital stewardship. During the program year, cohort members travel to the WSU campus in Pullman, WA and to partner repositories in Washington D.C. for week-long training sessions. Virtual instruction sessions are held each month to continue building skills and provide supplemental tools and materials. Participants in the Tribal Digital Stewardship Cohort Program are offered full scholarships, including tuition, fees, travel funds and program costs. Scholarships are funded through the Institute of Museum and Library Services Laura Bush 21st Century Librarian Program. 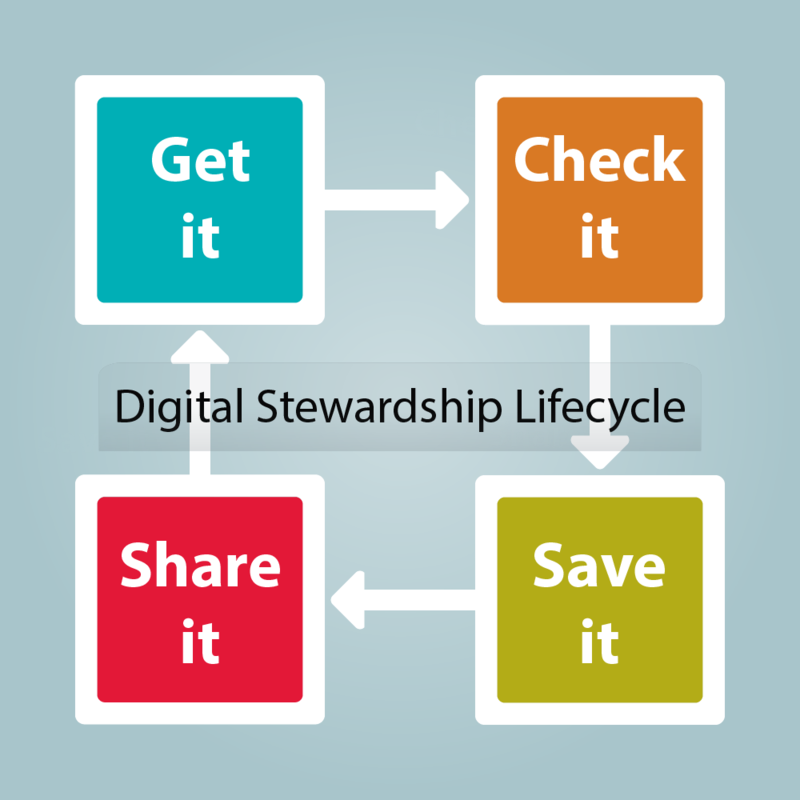 The digital stewardship curriculum was developed to be delivered in a hybrid model, in-person and online. The educational model emphasizes a holistic approach to stages of the digital stewardship lifecycle: creating or accepting materials, managing materials and checking integrity and quality, and storing materials for the long term, and providing culturally appropriate access. All aspects of the program can be adapted to meet the specific needs of each cohort institution. 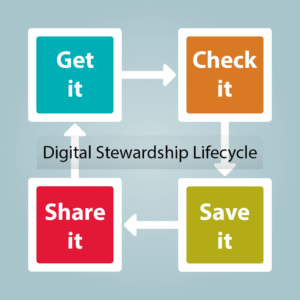 Access all public content for the Digital Stewardship Curriculum at the Sustainable Heritage Network. Navigate through the curriculum from start to finish, or pick and choose the modules that are most helpful to you.